Why hire a one room wedding venue when you can have a fairytale castle exclusive for your wedding day for free? Craig y Nos Castle is a gothic Victorian Castle extended by a famous and wealthy C19th opera singer, Adelina Patti. It is now a hotel and guesthouse specialising in weddings and events, hosting 80 weddings a year. The Castle also offers dog friendly B&B holidays where dogs and their owners can enjoy the extensive local walks in the Brecon Beacons National Park. 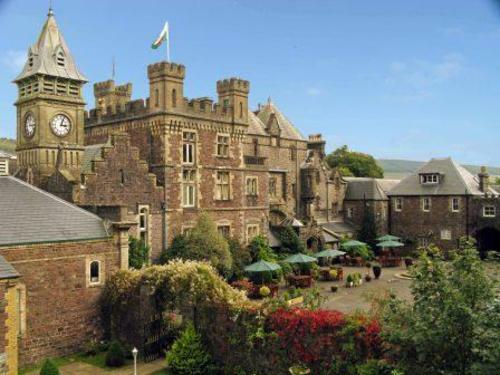 Craig y Nos in Wales offers free exclusive use of the Castle Wedding Venue if the Bride and Groom have 50 guests staying overnight under its new Wedding Package.